High winds that approached 50 mph on Saturday shredded the paint cover being used at the Rio Hondo mechanical lift bridge. A TxDOT spokesperson says it will be repaired quickly. HARLINGEN — The shriek of Saturday’s winds has come and gone, but some minor damage remains. 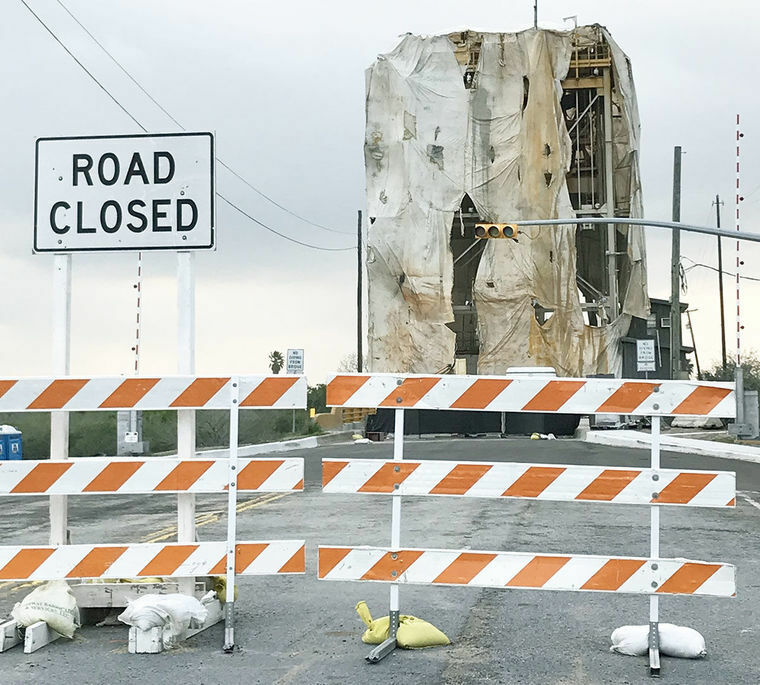 The paint cover at the Rio Hondo mechanical lift bridge was shredded by winds of around 50 miles per hour, although a TxDOT spokesperson says the cover will be restored quickly. The highest winds recorded in the Valley — which was under a wind advisory — were in Harlingen, where a gust of 51 mph was recorded between 10 and 11 a.m. at Valley International Airport. The city also recorded the highest sustained winds of 39 mph. Brownsville was almost as breezy, with a gust at Brownsville/South Padre Island International Airport recorded at 48 mph and sustained winds of 37 mph. At McAllen-Miller International Airport, a gust of 39 mph was recorded with a maximum sustained wind of 29 mph. “The wind event this weekend developed because of a high pressure gradient that resolved over Deep South Texas resulting from an area of high pressure over the gulf to our east and a developing area of low pressure across West Texas,” said Matthew Brady, a meteorologist with the National Weather Service in Brownsville. Brady said the volatile atmospheric conditions extended all the way to Arkansas and Missouri, and were responsible for the damaging weather event which occurred there. Two tornadoes were reported in northeast Arkansas and southern Missouri, along with two fatalities. Brady said the high winds in the Valley will be back this week. “We’re looking at a similar event actually developing on Wednesday with windy conditions as well,” he said. Homeowners should look around their house and yard for items that could blow away and put them in a safer place. Drivers need to be extra alert for debris flying across the road as well.